I had an old account on this forum but I'm unable to access it since my old email is dead. That being the case, I went ahead and re-registered. I wanted to create a dramatic video that would provide a decent overview of the story events and that both long time fans and those new to Three Kingdoms could enjoy. I think I've succeeded, but I'll leave that up for you to decide. The audio I used is a series of selections from various game soundtracks, namely Jade Empire, Romance Of The Three Kingdoms XI, and Dynasty Warriors 6. I hope you enjoy it and look forward to any comments you may have! Nice MV! It's a great summary of the series and of the history it portrays. I love the use of RTK XI music (as a RTK XI fan myself). Thanks for sharing with us. Any plans for more TK2010 videos? You're quite welcome Lady Wu, and thanks for the reply. I'm glad you enjoyed it. I don't have any plans to do another 2010 video, but I may do another Great Conquest video at some point in the future. 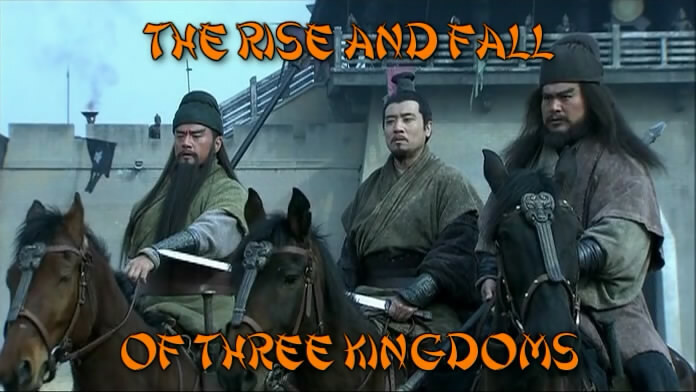 Five years ago I made "Age of Discord" with the first of the three "Great Conquest - The Romance of Three Kingdoms" anime OAVs.